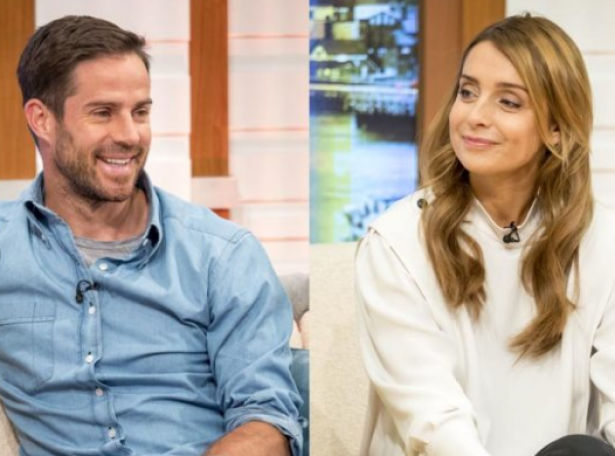 Despite the ever-present rumours about her marriage to Jamie Redknapp, Louise seems to be having the time of her life right now. Her successful appearance on Strictly Come Dancing last year appears to have sparked a resurgence in her desire for the perks that come with being one of the most famous women in the country. From press launches to celeb pals’ birthday bashes, it’s fair to say Louise, 42, has been making up for lost time recently, much to the dismay of husband Jamie, we’re told. A source tells Now: ‘The word divorce hasn’t even been uttered between Jamie and Louise, and neither would look twice at another person, but they’ve clashed over her newly discovered love of partying. Louise has admitted getting a thrill out of being in the spotlight again and says her time on Strictly reminded her of the times Jamie would go to her concerts. Although she’s preparing to make her theatre debut in Cabaret later this year, it’s not just the performing bug Louise has caught all over again: she’s been enjoying nights out with friend Daisy Lowe, who, we’re told, Jamie isn’t keen on. Earlier this month, Louise and Daisy, 28, were spotted leaving London nightclub DSTRKT, where it’s rumoured the night ended with large amounts being spent on alcohol for the duo and their friends – though the club reportedly covered much of the cost. she and her husband have separated. ‘Jamie isn’t silly – he knows Louise is her own woman,’ our insider says. ‘But he can’t help but feel she’s being caught up in Daisy’s world – a place he thought they both left a long time ago. In the past, Louise’s social media was regularly updated with photos from date nights but, these days, you’re more likely to find snaps with her out with friends – despite the importance she once placed on spending quality time with Jamie. And we’re told Jamie wants to take Louise and the kids away to their ‘happy place’ Barbados as soon as possible, to remind her of everything she has. Louise has spoken in the past about how the Caribbean island is one of their favourite places.